I thought this was some kind of bird hunting device sitting on top of a massive forest. In reality it may be your next vacation destination. And you will need the largest thermal airship to get it up there. This is a canopy raft, an enormous set of nets held together with inflatable tubes that act as an structural frame. 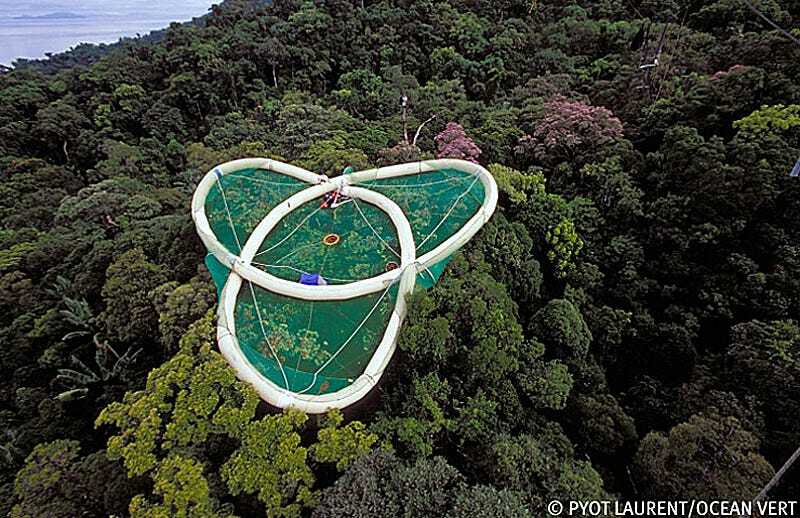 It can be placed on top of forests so people can camp, accessing the ground below using a hole and ropes. Apparently, the are so light that the trees don't get harmed at all.